The Aquaboss ® EcoRO Dia 70 system offers to the user, maximum operating convenience with the smallest possible exterior dimensions and optimum quietness. A four-line LCD plaintext display enables the operator to call up and monitor all the operating parameters at any time. 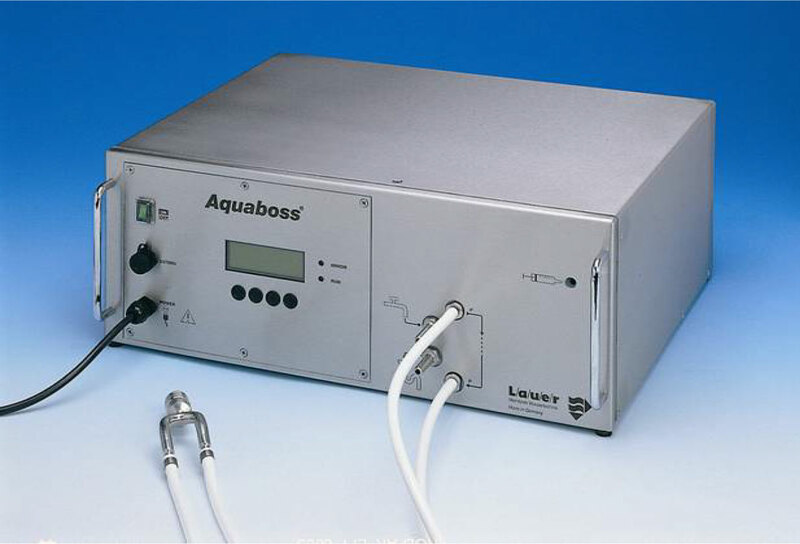 A flushing and disinfection program with integrated Aquaboss® impulse backwashing of the membrane specially developed for compact systems guarantees a maximum level of hygiene in the dialysis water. Its compact size makes the system suitable for producing dialysis water in any location. No one else delivers quality refurbished products like Wil-Med Global, Inc., or has the longstanding track record of customer service and satisfaction. Dialysis products are prepared for reconditioning at our huge climate-controlled facility. The cabinets are stripped to the shell and repainted. Reconditioning and Preventive Maintenance Service is performed on all machines before final testing and calibration. When finished, our clients have a machine that is cosmetically and mechanically like new. Machines are bubble-wrapped and shipped by our nationally recognized and insured electronic equipment shipping specialist. The end result, machines that exceed expectations of performance and appearance, at a fraction the cost of new. Wil-Med Global Inc. has been providing refurbished dialysis equipment to many of the largest renal care providers in the world for over 25 years.